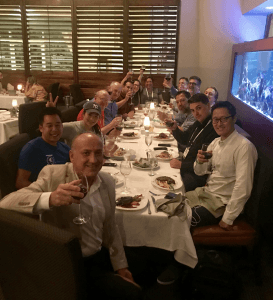 Restaurant Leadership Conference 2019 – Doing it the NovaDine way! We had a great time at the Restaurant Leadership Conference (RLC) in Phoenix, AZ last week. The team at NovaDine always looks forward to face-to-face time with peers and customers. We’re seeing some trends taking place and team NovaDine came back from RLC pumped up. With technology continuing to steer the customer experience, our mission is to enhance the industry by being the thought-leaders behind it. Our feature-rich online ordering solutions and developments in digital ordering continues onward! With outgoing orders now accounting for a whopping 63% of industry transactions, technology is certainly king. It wasn’t all business at RLC. We did get to sneak in some fun. We sponsored the Scottsdale Gun Club Event and it was a blast! A bus load of us got our adrenaline pumping on the shooting range. And, the winners won $100 each! A lot of you got your ‘bon on’ with the addicting sweet taste of Cinnabon’s Bonbites, who doesn’t love a sweet treat to help you get through the show?! We also heard loud and clear that the NovaDine branded goodie bag inside your hotel room had several much-needed items for your stay. Thanks for your input, we made a mental note for next show. We were beyond proud to donate toward the 2019 Spotlight Charity during this year’s conference. Thanks to everyone for stopping by our booth. We’re honored to partner with restaurant brand owners and franchisees and look forward to working with you throughout 2019. Next stop – FSTEC 2019 – Dallas, September 8-11. See you there! We’re getting excited about the Restaurant Leadership Conference (RLC) in Phoenix, AZ. NovaDine has been busy over the last year perfecting our feature-rich online ordering solutions and developments in digital ordering. It’s an incredible time of progress as online ordering, demand generation, and delivery as a service continue to be hot topics for the restaurant industry. Our team is looking forward to meeting with restaurant leaders and POS/technology providers. And, we have some fun things planned! On Monday, April 8th NovaDine is sponsoring the Scottsdale Gun Club Event. During the morning event, you’ll get breakfast and a bus ride to the largest public indoor shooting range in the United States. Once at gun range, test your sharpshooting skills and load up on bragging rights during range time. Click here for a full agenda. Stop by NovaDine’s booth #210 at the RLC show during the evening Welcome Reception on Monday, April 8th and get a sweet treat. 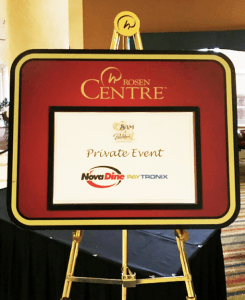 Plus, RLC guests staying at the JW Marriott Phoenix Desert Ridge Resort & Spa will receive a special gift from NovaDine, keep your eye out for a fun package of goodies inside your hotel room. NovaDine is also proud to donate toward the 2019 Spotlight Charity during this year’s conference. ProStart is the cornerstone program of The National Restaurant Association Educational Foundation (NRAEF), a culinary arts and restaurant management program for high school students. We’re looking forward to spending time with you at the show. See you there. Full POS Integration. One synergized solution. Consumer expectations are at an all-time high, and the foodservice industry is feeling the squeeze. 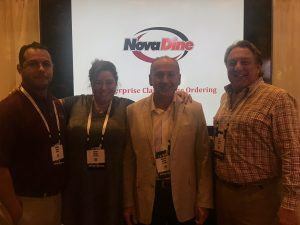 NovaDine empowers restaurant operators to focus on their quality of food and the guest experience by creating an easy to use and reliable online ordering experience. Point-of-sale (POS) is the fastest evolving platform in food service—it’s a one-stop solution for more than just transactions. It helps Improve customer experience and staff efficiency. Hands off menu export and automatic price and availability updates from POS to the web. Online Ordering, Call Center, and mobile devices reflect price, menu and availability changes in real time. NovaDine Agent uses standard web ports and ‘pull’ method. No need for static IP's and no need to open firewall ports at the store. Orders are inserted into POS and print at designated printers. With smartphone addiction on the rise, NovaDine helps restaurant brands embrace digital hospitality while driving more revenue. NovaDine is the only digital ordering provider with full order & menu integration with GrubHub, DoorDash, UberEats, and Postmates. This bi-directional integration provides real-time automated menu updates and automatic order downloads to and from POS, bypassing the need for multiple tablets and manual order entry. NovaDine’s object-oriented design allows for the integration of new features quickly and seamlessly, ensuring the system will remain at the forefront of e-commerce technology. Easy deployment and seamless POS integration mean more time to focus on the core aspects of your business. Learn more at http://novadine.com. Stop by NovaDine’s sponsored GAME ZONE area at MURTEC March 11–13 at Paris Hotel, Las Vegas. See you there. This month we are featuring one of our loyalty program partners, Paytronix. A leading provider of loyalty, gift and email solutions, Paytronix is one of the most versatile platforms in the industry. Through its innovative software design and integrations with widely used restaurant POS systems, clients are empowered with the flexibility necessary to build unique, brand-enhancing programs. The technology that handles every transaction between your brand and your guests – both the point of sale and online ordering systems like NovaDine – is at the heart of your guests’ engagement with your brand. Paytronix is invested in ensuring that their integrations deliver a reliable and real-time experience. With each purchase your guests make, your brand quickly learns about their behavior and can leverage insights to win more visits and spending. Studies show that loyal customers spend more, visit more and talk about your brand more than your average guests. The Paytronix system’s digital touch points will help create those loyal customers by providing convenience, rewards, personalized messages and more. At NovaDine, we are proud to partner with industry leaders who are trusted, cutting-edge and offer reliable technology! The competitive nature of the restaurant industry is driving brands to increasingly look to technology to solve problems and foster business growth. Customers are seeking out convenience, resulting in a trend towards on-demand delivery. The National Restaurant Association reports that 34% of consumers opt for delivery more frequently when technology makes it accessible to do so. Now more than ever, restaurants must focus on providing a superior customer experience in order to be successful. As an innovator in the marketplace, we have established ourselves as one of the only digital ordering providers with full menu, order and POS integration to Grubhub, Grubhub at Work, DoorDash and UberEats. Without this robust integration, restaurants must receive orders through multiple tablets that require constant monitoring and employees have to manually enter each delivery order into the company’s system. This process can quickly become chaotic and time-consuming and has earned the nickname “tablet hell” as some restaurants are finding themselves having to keep up with 10 or more tablets cluttering up space in their front of house. - Increase in brand recognition, engagement and orders by listing your stores on delivery marketplace websites. - Delivery orders are conveniently downloaded directly into your POS system thereby saving time and reducing human error. - Menu and pricing updates automatically and in real-time. Let us empower you with technology! Contact us to request a demo today. 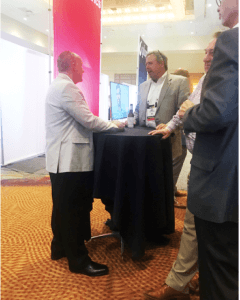 We had a great time at the MURTEC Executive Summit in Nashville last month. We were thrilled to host the Breakthrough Awards and enjoyed connecting with industry contacts! Congratulations to the winners – McAlister’s Deli (Customer Engagement Innovator) and TGI Fridays (Enterprise Innovator). McAlister’s developed an online and mobile engagement platform that allows the brand to offer a seamless mobile and online ordering experience and drive increased customer loyalty and spend through targeted CRM. TGI Fridays tapped into the potential of Artificial Intelligence (AI) to deliver measurable results in three key areas: guest engagement, internal operations and staff support. Breakthrough Awards are presented to select restaurant companies that have demonstrated outstanding vision and achievement in operational and guest-facing technologies. Winning companies are chosen based on vision and execution; consideration is given to size, resources and individual market segment benchmarks to ensure that companies from across the industry are recognized. Nominations were collected in Q3 of 2018 and judged by the Hospitality Technology editorial staff and its advisory board based on innovation, thought leadership, execution and results. We had a great time at FSTEC connecting with new and old industry friends! 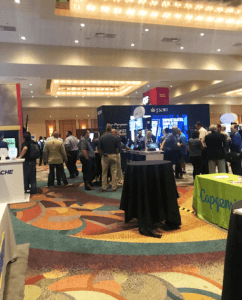 As always, FSTEC is a compelling technology conference, offering insight into security, software development and marketing—a great mix of food and tech! Trade show season is here and we are excited to showcase our latest developments in digital ordering at FSTEC2018 Oct. 1st - 3rd in Orlando and at the MURTEC Executive Summit Oct. 17th -19th in Nashville. As part of FSTEC, we have made a contribution to the Charitable Alliance of Restaurant and Retail Executives (CARRE), a foundation that endorses leadership through charitable giving. FSTECH partners with CARRE and benefits the Share Our Strength No Kid Hungry campaign, whose goal is ending childhood hunger in America by connecting kids in need with nutritious food; teaching their families how to cook healthy, affordable meals; and engaging the public to make ending childhood hunger a national priority. Our donation will provide 20,000 meals. Since its launch in 2008, restaurants have raised $37 million in support of No Kid Hungry. At the MURTEC Executive Summit, we are honored to have been selected again as the sponsor of the MURTEC Breakthrough Awards! The MURTEC Breakthrough Awards honor restaurant companies for outstanding achievement in business innovation. The awards are presented to operators for leveraging groundbreaking technology and innovative strategies to improve customer engagement and/or the overall enterprise. We look forward to seeing you at both shows. We will be at FSTEC Booth #600 and at the Breakthrough Awards at MURTEC Executive Summit. Giving customers what they want, when they want it is a driving force behind Panda Express’ partnership with third-party delivery system Uber Eats. Panda Express is one of the first restaurant chains to take advantage of Uber Eats’ new Menu and Order APIs (application program interfaces). The Menu API allows participating restaurant chains to create and modify menus in real time while the Order API pushes new order notifications and allows order download from Uber Eats. Panda Express worked with NovaDine to integrate both into their POS earlier this year. To date, 800 of the 2,000 Panda Express locations are using the third-party delivery service. Before this integration, orders from Uber Eats had to be manually re-entered into the POS, opening the door for costly order errors and needlessly taking staff away from customer service and other tasks. Now, orders are received and verified by the Panda Express location on the Uber Eats supplied tablet and automatically sent to the POS, thanks to the integration developed by NovaDine. This timesaver is the biggest benefit, says Luther Kwok, director of catering & special events for Panda Express. The integration increases efficiencies and gives Panda Express locations the power to add or remove dishes from the menu. As a result there’s a decrease in rejected orders, less time is spent troubleshooting, and friction in the guest’s experience is reduced. For Panda Express it’s a deepening of their relationship with NovaDine and Uber Eats. The American Chinese restaurant began selling online through its website in January 2014 and Uber Eats in late 2016. “The benefit of going through NovaDine for the integration is that the experience is the same,” says Kwok. The regular online order comes in through POS where a 2-part receipt is printed and then the associate assembles the order. Online orders are retrieved from the location’s signed pickup area. 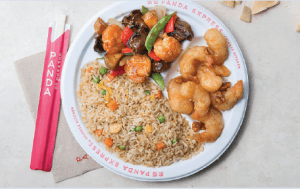 Panda Express has been using NovaDine’s integration with Uber Eats for a few months and plans to roll it out to additional locations. “We’re happy with the solution,” says Kwok. The restaurant industry is living in a digital world - from mobile ordering to delivery and in-store kiosks – and, there are no indicators that these trends are slowing down as the customer experience continues to thrive on immediate gratification. Kiosks are making their mark and proving their relevance with a convenient and efficient digital ordering alternative to waiting in line. Kiosks are engaging to customers, and allow the customer to tailor their own experience with the ability to personalize orders, take their time to browse a menu or quickly order a favorite and skip a long line. Other benefits that keep the kiosk trend on the rise include increased order accuracy and efficient check out. Kiosks eliminate mistakes with overlooked orders. Decreasing lines with kiosks expedites the check-out process and allows processing of more orders thereby increasing restaurant revenue. Kiosks are becoming increasingly prevalent. McDonald’s recently announced plans to invest $2.4 billion in kiosks in 2018, most which would go to deploying its “Experience of the Future” design at U.S. locations with the focus on kiosk ordering. Subway also has plans to roll kiosks out in 2018, as do Taco Bell and Wendy’s. Panera has had kiosks for more than five years. Kiosks are clearly here to stay. This rise in demand shows that customers continue to thrive on technology, especially when convenience drives the process. And the numbers don’t lie. According to PYMNTS Unattended Retail Tracker the projected annual growth of the American interactive kiosk market through 2021 is 7.2 percent. In addition, self-service kiosks generated annual revenues of $218 million in 2016. Advancements in technology continue to change how restaurants serve customers, especially when it comes to online ordering. A Fortune restaurant technology survey found the percentage of orders booked using a mobile device is now 6.6 percent of the total and exceeded the quantity placed verbally over the telephone. Restaurants with online ordering cater to a growing generation of consumers with on-demand expectations and we predict restaurant technology will keep up with this demand in 2018. Here are some insights we’ve read about and agree will impact the industry this year. Facebook announced last year that users can now order food right from a restaurant’s Facebook page, which with two billion monthly users, that’s the potential for a lot of orders! It won’t be long before other social channels follow this trend. In addition, the growth of restaurant’s mobile apps will continue to grow as it provides a fast way for customers to not only place their orders, but create accounts, re-order meals, receive coupons and incentives and provides user data for restaurants to use for marketing and inventory. Plus, when restaurants offer customers access to a native app, there’s more than 15 percent of orders coming directly through the app, an increase of seven percent from 2015. As fast-pay programs like as PayPal, Apple Pay, and Android Pay continue to become second nature and delivery companies become more widespread and efficient, these numbers will be on the rise. This is especially true when restaurants partner with digital online ordering companies that understand the complexities of the food industry and can create seamless transactions that keep customers satisfied. Online ordering software for restaurants provides a view of restaurant customers with vital data from orders and preferences, that help restaurants understand their audience. Restaurants will continue to use data from online ordering to provide them with a more fine-grained understanding of both their costs and their customers’ inclinations, as well as the ability to create personalized loyalty programs for customers. Analytics can ensure a restaurant is staying in tune with customers and allows adjustments as needed based on real time or recent data. More and more quick service restaurants are updating their POS systems to include cloud-based technology. With these advancements, digital ordering companies are increasingly using streamlined and less intrusive software to integrate with these restaurant systems. Cloud-based POS integrations support centralized communication over secure private networks and eliminate the need for store-level software installation, support and maintenance. These integrations also allow for easier load-balancing and fail-over systems. 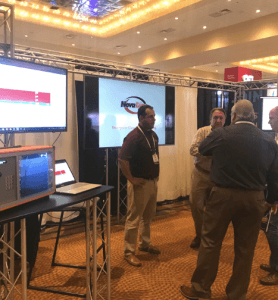 We’re back from a busy and productive few weeks at MURTEC and the Restaurant Leadership Conference (RLC) showcasing our feature-rich online ordering solutions and latest developments in digital ordering. It was thrilling to spend time meeting with restaurant industry leaders to share the depth of our abilities and better understand their unique needs. Conferences like these are interesting and this year was exceptional. It’s an incredible time of progress as online ordering, demand generation, and delivery as a service continue to be hot topics for restaurant industry leaders. It’s why Braum’s Ice Cream & Dairy recently began implementing our system and why so many others are evaluating the robust solutions we offer – especially as we add integrations with more POS systems. 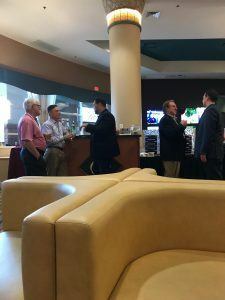 These conferences helped us engage with restaurant leaders and POS/technology providers to learn more about their needs, so we can provide seamless solutions that connect all the aspects of online ordering, but most importantly, help us provide an excellent customer experience! Thanks to our customers and partners for a great time. Here are some photos from the conferences.